Ta Skopje (Massadoanish: Скопје Skopje, Albaanish: Shkup, ny Shkupi) ny phreeu-valley as ny valley smoo ayns Pobblaght ny Massadoan. T'eh ny ynnyd politickoil, cultooragh, tarmaynagh as acadoil ny çheerey. V'eh er enney veih eash ny Romanee myr Skupi. 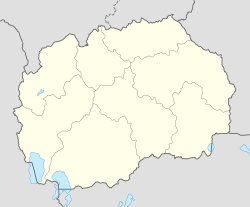 Ta tooilley coadanyn mychione Skopje ry-gheddyn ayns Wikimedia Commons. Hie yn duillag shoh er ny reaghey er 4 Jerrey Souree 2013, ec 11:29.